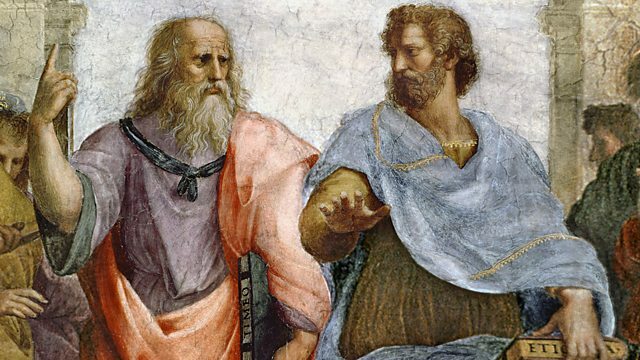 Melvyn Bragg and guests discuss one of the most important works of political philosophy ever written - Aristotle’s ‘Politics. Melvyn Bragg and guests discuss one of the most important works of political philosophy ever written - Aristotle’s ‘Politics’. Looking out across the city states of 4th century Greece Aristotle asked what made a society good and developed a language of ‘oligarchies’, ‘democracies’ and ‘monarchies’ that we still use today. Having witnessed his home town of Stagira destroyed by Philip of Macedon, Aristotle tried to establish a way of preserving a good society in dangerous times. How should it be governed and who should be allowed to live in it? Thomas Hobbes, Jean-Jacques Rousseau, Thomas Aquinas and Niccolo Machiavelli, to name but a few, have all asked the same questions and come up with wildly differing answers.Aristotle’s conclusions range across the role of wealth and the law, across men, women and slaves, education and leisure. They are far reaching, influential and, at times, deeply unpalatable. But they are also answers to questions that have not and will not go away. With Angie Hobbs, Associate Professor of Philosophy at the University of Warwick; Paul Cartledge, AG Leventis Professor of Greek Culture at the University of Cambridge and Annabel Brett, Senior Lecturer in History at the University of Cambridge.